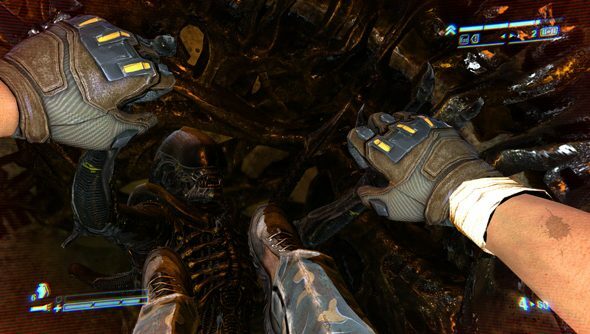 Aliens: Colonial Marines launches today, and it’s populated with decidedly underperforming and impotent xenomorph AI, the kind that promptly forgets you exist the moment you scoot far enough past them. You can outwit the most advanced biological weapons the galaxy has ever seen using only the sprint button and perhaps a little bit of timely strafing. Here’s a video in which I gunlessly navigate the first section of one of the game’s later missions on the ‘Hardened’ difficulty setting. This is symptomatic of a broader problem with Aliens: Colonial Marines, which is that it’s not very good. Full review soon.